Memorial Day is a day of remembrance, a day to remember and honor the hundreds of thousands American men and women who have made the ultimate sacrifice for our nation. This author, and thousands of others, have written messages past Memorial Days, expressing such respect and honor -- mine much less eloquent than those of so many others. 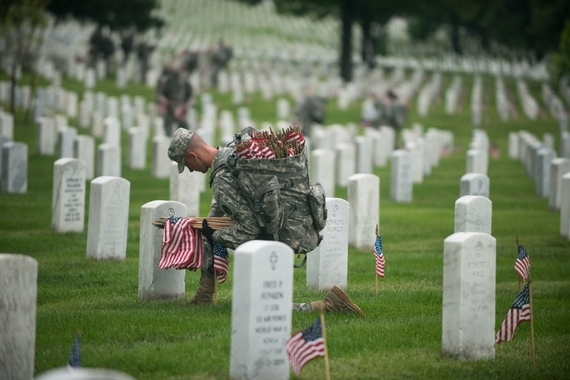 Memorial Day observances typically occur around graduation week. It is the time when our service academies hold their commencement exercises and commission their cadets and midshipmen to go out and serve their country in the U.S. Air Force, the U.S. Army, the U.S. Navy, the U.S. Marine Corps, the U.S. Coast Guard and the U.S. Merchant Marine -- on the ground, in the air and on the oceans -- in peace and in war, wherever duty calls. This year the four service academies will be graduating more than two thousand young men and women just before Memorial Day -- the U.S. Merchant Marine Academy on June 20. In some cases, these brand-new lieutenants and ensigns will be taking the places of those who have already made the ultimate sacrifice, knowing they will be facing similar hardships, risks and dangers. 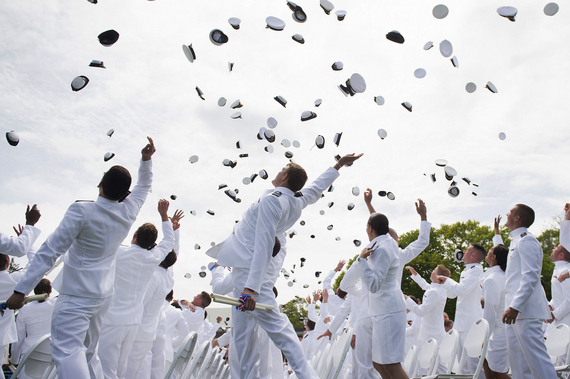 It is in such a context that I see a connection between these proud and happy young men and women on their commencement day, joyously tossing their hats high into the sky, and those fallen heroes who we honor on their Memorial Day. These brave men and women from the service academies' Class of 2015 know very well the dangers and hardships ahead and, yet, they gladly take that solemn oath to "support and defend the Constitution of the United States against all enemies, foreign and domestic...[to] well and faithfully discharge the office upon which [they are] about to enter..."
An oath that ends with the words, "So help me God." On this Memorial Day we wish these new officers -- and all those young men and women enlisting or receiving their commissions in our armed forces -- Godspeed and we say God Bless to those who have gone before them.